Historic Hopper Academy – Touching the future by preserving the past. While not 100 percent complete, we are ready to open part of the building and want to invite you to come see the progress. Join us for tours, light refreshments, and entertainment from 11 a.m. to 1 p.m. on Saturday, March 10. 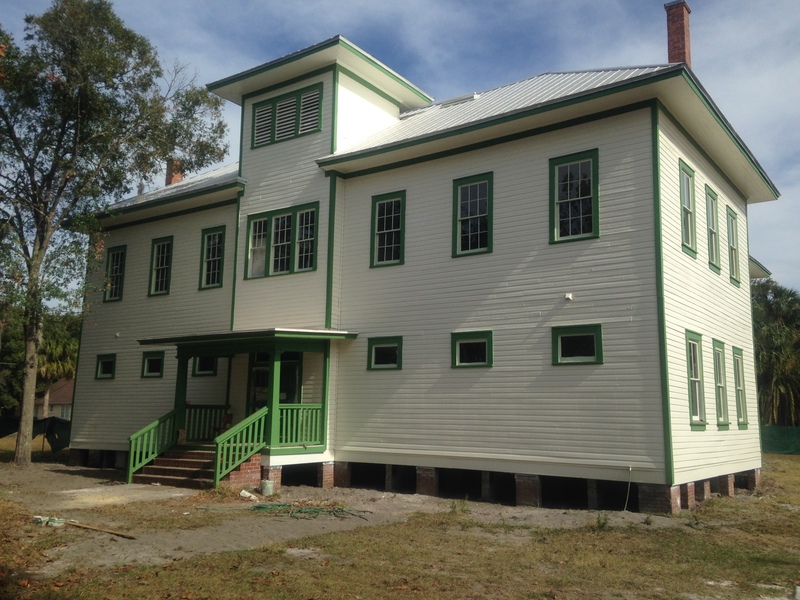 Funded in part by a State of Florida Historic Preservation Grant, the City of Sanford, and generous private donors, a complete restoration is going on now. Help us open the doors by donating today. Donations may be mailed 1101 Pine Av, Sanford, FL 32771 or you can donate online by clicking the link. Hopper Academy was built in 1910 as one of the few schools in Florida for African-American students. Originally serving students through the 10th grade, after construction of Crooms Academy in 1926, Hopper Academy became a grammar school. Hopper closed its doors in 1962 when Goldsboro and the new Hopper elementary schools opened. In 1989, after years of neglect, community members began efforts to save Hopper. The City of Sanford designated Hopper Academy as a local historic landmark in 1991. In 1993, the Community Improvement Association acquired the property and in 1994 the school was placed on the Florida Black Heritage Trail. Initial restoration of the building was substantially completed by 1999 and the building was used as a community and cultural center. In 2008 a fire sprinkler system was installed and in 2010 a new roof was installed. In 2015 Hopper academy was listed on the National Register of Historic Places. The Community Improvement Association of Seminole County, Inc. is a non-profit organization governed by a volunteer board of directors. The purpose of the organization is the restoration, preservation, and operation of Historic Hopper Academy for the benefit of the community. The Community Improvement Association of Seminole County, Inc., a 501-(c)3 nonprofit corporation. Florida Department of Agriculture and Consumer Services Registration number DTN2703857. A copy of the official registration and financial information may be obtained from the division of consumer services by calling toll-free (800-435-7352) within the state. Registration does not imply endorsement, approval, or recommendation by the State. There is definitely light at the end of the tunnel. Downstairs is nearly complete. One room need the floors refinished and we have four windows to rebuild. The rest of the downstairs is ready to be opened. Upstairs we still have some painting to do, including all of the windows, and the floor needs to be refinished. We will be doing fundraising soon to get a chairlift installed to make upstairs accessible.